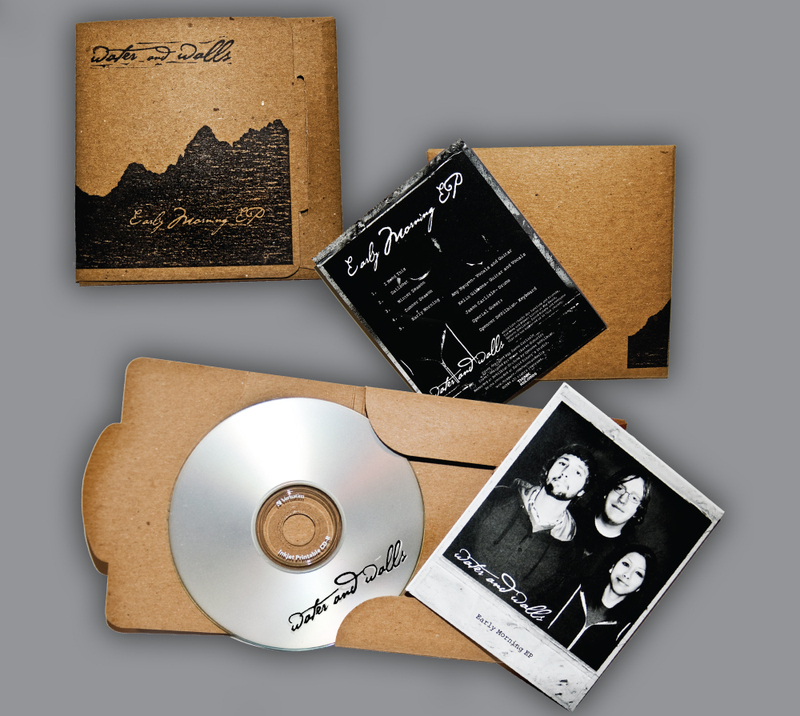 Eco friendly album artwork made of fully recyclable materials including water based inks, repurposed paper and cardboard. CD Sleeve Artwork designed for Utah based band Water & Walls. Custom Stamp was designed and created to be used for “green” environment friendly recycled sleeve. The concept was to have an oriental feel with a polaroid snapshot nostalgia. Created in April 2010. Click on the image above to enlarge. I was wondering if CD sleeves like the ones above could be customized and ordered, and if so how much would the price be for about 100? I’m sure that something similar could be done. In order to get a price for you I’d need to know a few more details, for example do you have designs/artwork complete or would you want those services included? How complex is the artwork for the custom stamp? Would you like 1 color like the example or multiple colors on the front? Would you want a single page insert like the Water & Walls example or a booklet? If single page would you want it black and white or color? one or 2 sides? If a booklet would you want it glued to the inside of the sleeve or separate? Would you want the entire piece shrink wrapped after it’s packaged? What kind of CD artwork were you planning on? Full print, or laser engraved? Once I get these answers back from you I can work on getting an accurate price estimate. Thank you for your consideration.